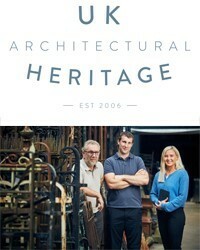 UK HERITAGE own terms and conditions can be read here on their website. Consumer Contracts Regulations apply. Your contract of purchase is between the Client and the Seller, not the Decorative Collective Ltd, we are just the introductory agent. Your rights include, but are not limited to the below. You must check with each individual Seller what their own terms and conditions are and what their own purchase and returns policy include. The DC Ltd is not responsible for the description, condition or attribution of an item as we do not have sight of any item and do not have physical ownership of any item, but we do endeavour to only allow professional and experienced dealers onto our website. We do not collect payment or hold such unless specifically agreed prior to purchase and then only as Agent do we hold funds, which are held by the DC Ltd until both parties have confirmed such can be released. If such funds are held and an item is returned, release back to the client of such funds, will be subject to the Seller confirming the item has been returned according to their returns policy. Items are not released to the Buyer until the agreed payment is received by the DC Ltd. The DC Ltd is not responsible for any related bank charges, transfer fees, currency fluctuations or otherwise. For more details on this facility, please contact owner Jane Walton at [email protected]decorativecollective.com.